Find out more about what the Premium plan has to offer, including pricing, features, and how to upgrade. Don't see your question here, shoot us an email at support@mybrightwheel.com. How is my Premium pricing calculated? 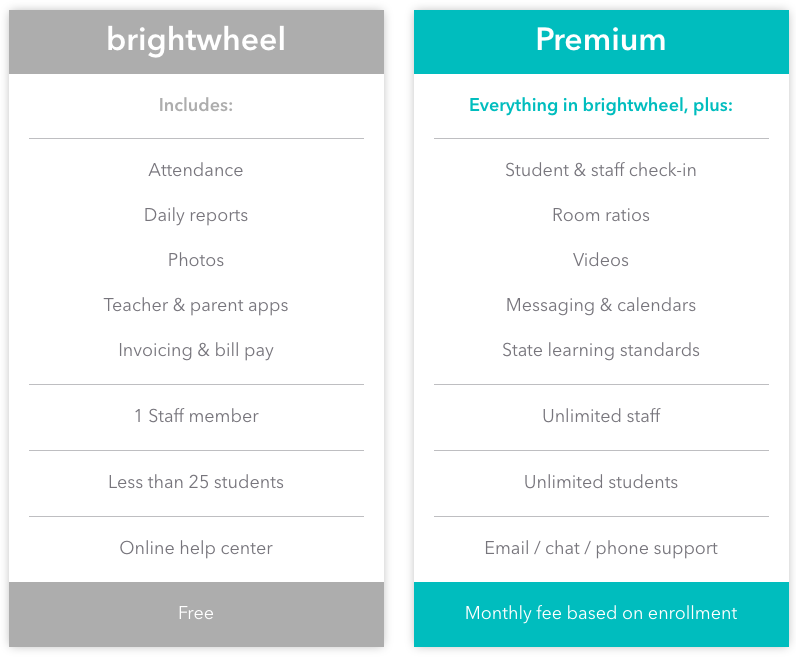 Brightwheel Premium is a monthly subscription based on your program's student enrollment. 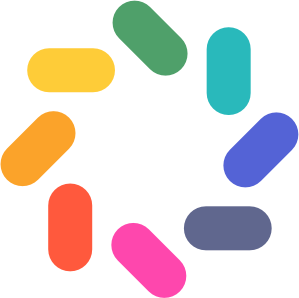 To learn your price, simply create an account on mybrightwheel.com and visit the account page to get your pricing calculation within the pricing calculator. When you sign up for brightwheel Premium, you will enter your current student enrollment (not including waitlist, alumni, etc). Our billing calculator will tell you your monthly cost. What if my enrollment changes? Pricing will not change as your enrollment changes, but brightwheel reserves the right to adjust your price to appropriately reflect your active enrollment number. You will be charged the set price amount from the calculator at the end of your free trial period (NOTE: not necessarily the same day that you enroll in premium), and then on that same day thereafter each month. Difference between free and Premium? Brightwheel Premium is the only all-in-one solution that covers check-in, daily reporting, class management, staffing, bill pay, assessments, and much more. It also gives access to our top notch Customer Support team to help you and your parents with all your needs. Premium Features: Staff management, unlimited students, messaging, assessments, videos, discounted billing and much more. Plus many new features added on a regular basis! Premium Support: Access to our incredible support team via email, phone, and chat. Visit our Pricing Page for more detailed info. I don't need all Premium features. Can I choose only some? Brightwheel Premium is a bundle. All features and reduced payment processing fees are part of this bundle and cannot be separated. How do I set up my payment? At any time you can edit your current payment method or add additional payment methods. Once you set up your payment method you will automatically be enrolled in auto pay for your monthly bill. Brightwheel premium must be set up through your web account by logging in to schools.mybrightwheel.com and navigating to Settings > School Settings > Account. Scroll down and select plan and enter your payment method. Your billing address is required to enroll and pay.